Buying your first home can be intimidating process. Often said but never overstated: buying a home or a condo is one of the biggest investments you’ll ever make so it’s definitely something to treat seriously. We’re often asked by first-time buyers: Where do I start?” “What can I expect?” “Who do I ask?”. Hopefully the answer to that last question is of course the team at Condo Culture. As expert REALTORS in the condo market across Kitchener-Waterloo and Hamilton, we are not just salespeople, we consider ourselves matchmakers. We introduce people like yourself to thousands of condos per year and we are there all the way through the process until you fall in love with the perfect space. So for all you first time condo buyers out there, here is a sneak preview at Condo Culture’s First Time Condo Buyers Guide! Location, neighbourhood and local amenities. Linking the things you enjoy most through the week with where you work and your favourite hang outs will help you zone in on the most convenient location to get the most out of condo life. As is often said, Location, Location, Location! Size of unit, including number of bedrooms and bathrooms. Will it just be you, you and your significant other? Do you need room for fido or are you planning any additions to the family in the near future? Style of Building. What’s your personality? Do you see yourself in a stylish factory-style loft, luxury condo or townhome? Do you prefer a new building or would an older building in the right location also work? Using our website to get a sense for what’s you there, picking and few of your favourites to go tour and check out in person with a member of the CC team is a great way to see what’s out there and determine which style of building may be the best fit. Timeline. Do you want to move in in the next few months or sometime over the next couple of years? With a number of local re-sale buildings ready to move into today and an array of new developments on the horizon, narrowing in on your timeframe will help you zone in on the buildings may be perfect today or worth waiting for. And of course, last but definitely not least, BUDGET! Knowing what you can afford and what you’re comfortable spending is one of the most important pieces of the puzzle. Not sure? Reach out to us and we can help point you in the right direction to get you started. We’re here to help you find your dream condo but depending on your wish list and budget it’s always important to say grounded and keep in mind you may not be able to get all your wants and features in your first space. Finding a happy medium between your needs and wants will help you establish the most realistic, and least stressful path to finding your perfect first condo. Ok, so let’s talk finances. Once you’ve ran your monthly budget and have a good handle on what’s coming in and what’s going out, it’s time to get qualified for a mortgage. This crucial step will aid you to determine a budget that you are comfortable working with. In most cases, you won’t know right away how much a lender is willing to give you. Before heading into your first appointment with the bank or a mortgage broker, you’ll want to make sure you have proof of income and employment. Depending on your situation, most banks like to see proof of income over the past 2 years or so. Previous statement of adjustments, pay stubs or letters from your employer if you recently moved into a new position are great places to start. Next, how well do you know the neighbourhood? This one isn’t exactly something you can change, therefore, you have to find what fits best with your type of lifestyle. Do you look for that urban setting or would you rather be located in the suburbs? If you were lucky enough to grow up in the area, it is fair to say that you are familiar with the surrounding neighbourhoods. But if you are new to local area, try this out. Utilize Condo Culture’s "Condo and Urban Life Map" and our interactive website to get to know the different districts and buildings throughout Kitchener-Waterloo and Hamilton before stepping out on a tour. Quick and easy! Once you narrow in on where you think you want to live, drop by the store and we can give you our insight on the market, what to know about each of the buildings and neighbourhood and share our knowledge and ideas on the top buildings, units and neighbourhoods that could be the best fit and align with your wish list. We’ll help you identify your favourites, take you out on a tour of the latest listings, identify the perfect fit and help ensure you get the best deal on the one that’s pulling on your heart strings. Now that you have found “The One”, the next question is... “Now what?” With the support of your awesome team of Realtors (us, silly), it is time to present your offer. This can either go 2 ways. If you’re lucky, the seller accepts and you will be the new owner of your very first home. But in reality, closing the deal isn’t always that simple. Its common in the current market to get into a bidding war from time to time with others that feel the same way you do about the property. For first time homebuyers, this can sometimes be intimidating but don’t let this discourage you. We’ve got your best interests at heart so if we don’t win the first one together, we’ll help you find one even better on the next round! Based on market comparables, our team of experts can help guide you in determining a fair offer price that will put you in the best position to get into your first home and start building your wealth through real estate. 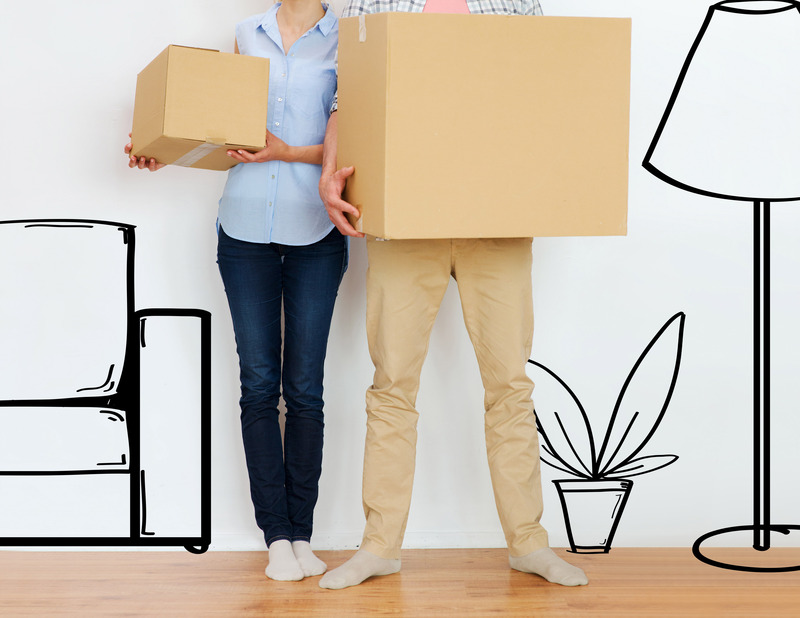 We hope you enjoyed our quick preview on Buying Your First Home. Stay tuned for more to come and reach out to us if you have questions so we can help get you started. Through the years of experience in finding the perfect condo for new home buyers, our team at Condo Culture prides itself in making sure you understand all the elements involved and are ready to conquer such an important milestone in your life. Let us help you find the perfect property! Give us call or come visit us over coffee and chat your future.